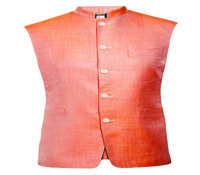 Modi jackets are all the rage now since our Prime Minister chooses bundis for most of his appearances. These jackets are versatile and add a touch of elegance to a simple shirt or kurta when teamed with loose fit pants or denims. Modi jackets are not restricted to men. 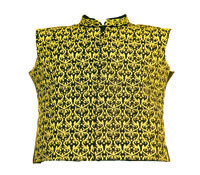 Women can wear it over a sari or a kurta to add some edge to their ensemble. Linen or raw silk jackets are perfect, given the countrya��s varied weather. The honour rests with the textile geniuses of India a�� the khadi weavers. 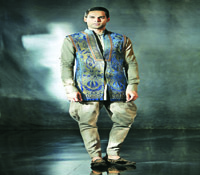 The khadi waistcoat, as seen through the new wave of patriotic styling, is sweeping through India. 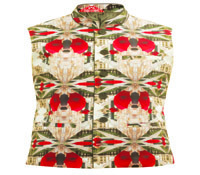 This jacket from Hyderabad-based Shravan Kumar, is a conversation starter. 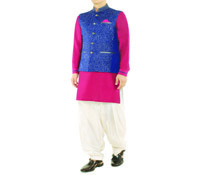 Pair it with an off-white linen shirt and dhoti. 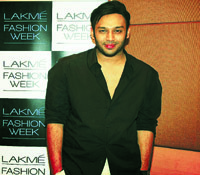 Featured at the Lakme Fashion Week this year, it is priced at Rs.6,000. 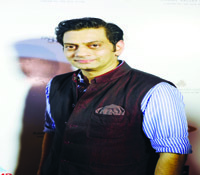 The designer also has jackets in silk, ikat, bandhani and block prints. The ones with checks in colours like yellow, green and purple are popular.